As per the Children’s Law Reform Act, biological parents are equally entitled to custody of the child. However, if upon separation, the parents cannot agree on custody, one can bring an Application to settle the matter. Child custody is the right of the parent(s) to make important decisions for the child, which includes, but is not limited to, education, healthcare, and religion. There are three types of custody that differ in how decisions for the child shall be made. Sole custody is defined by one parent having the right to make all the final decisions regarding the wellbeing of the child. 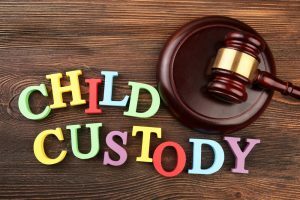 Although the parent with sole custody will usually consult with the non-custodial parent before making decisions, if the parents cannot agree, the custodial parent shall make the final decision. Joint custody is defined by both parents equally sharing the right to make final decisions regarding the well being of the child. Both parents must agree and finalize decisions together in the best interests of the child. This type of custody requires effective communication and works best when the parents are able to negotiate and cooperate with one another. Split Custody / Parallel Parenting is defined by each parent having sole custody of one or more of the children. Split custody is the least common custodial arrangement. Courts will shy away from this arrangement for young children as it is rarely in a child’s best interest to be separated from their sibling(s). However, when the children are older and able to express a preference with which parent they would rather reside with, courts are more willing to make such an arrangement.